Redefine your entire travel experience with HR-One software. Save big on administering travel time and costs. 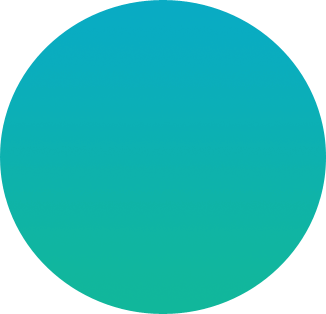 Help employees raise travel related requests seamlessly and receive instant approval and responses. Provision to issue cash in advance to employees before the travel dates strikes. In case there is an exception case, the system tracks and lists the exception scenario. 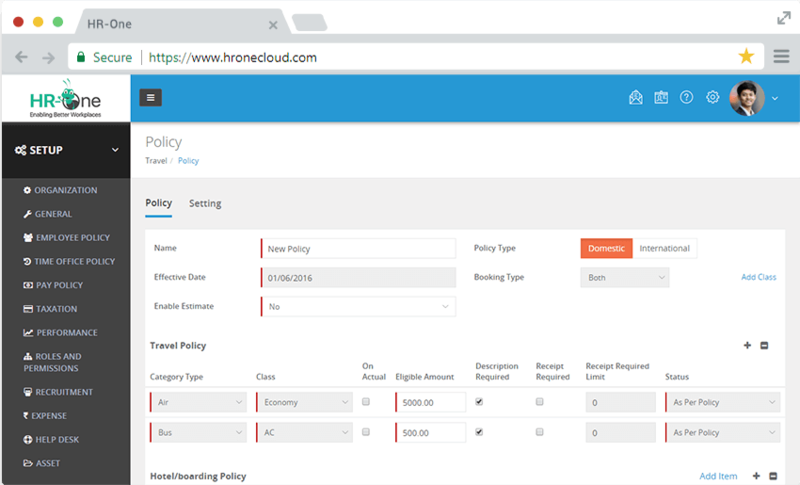 Effortlessly create custom policies, according to the various parameters such as domestic, international, per diem, travel type, grade and level. Set travel limits by category or by department. Enjoy a great flexibility to create custom defined rules as per your unique requirements on the basis of grade, level and travel type. It’s easy to create single or multi-level approval workflows depending on the specific business requirements or hierarchy levels for approving employees’ claims and reimbursements. Allow managers to review, approve & reimburse claims at their convenience. The HR-One software provides the features of setting exceptional and in-limit expense categories. Further, the managers have the flexibility to approve, reject, and request for revision in HR-One. Single click access to apply, track and claim travel expenses and related reimbursements. You can view a complete history of all travel expenses for you and your team here. Employees can also see where their request is pending and send reminder emails to their managers to move things along. All essential travel related reports needed for payroll and finance processing are included in this module. You just need to pick the template that suits your requirement and start using the reports either in excel or graphical form. 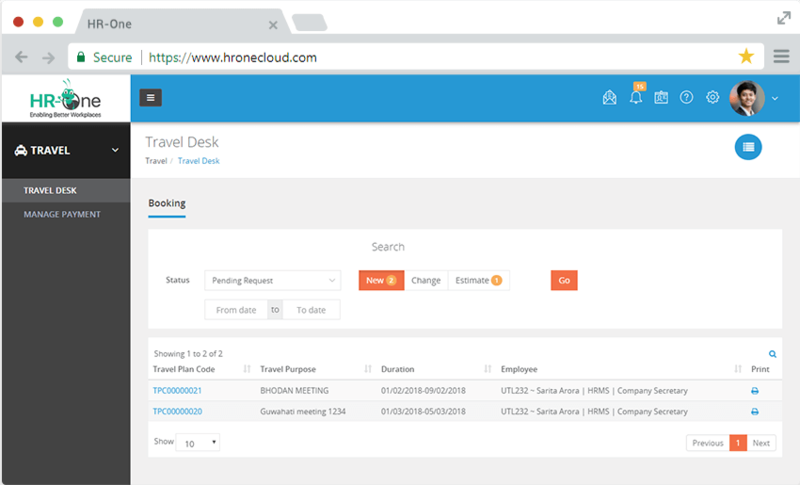 Save your time in every step of the travel booking process with a centralized travel desk in this module. Use this portal to create a detailed travel itinerary and plan the trip as per the approved policies. 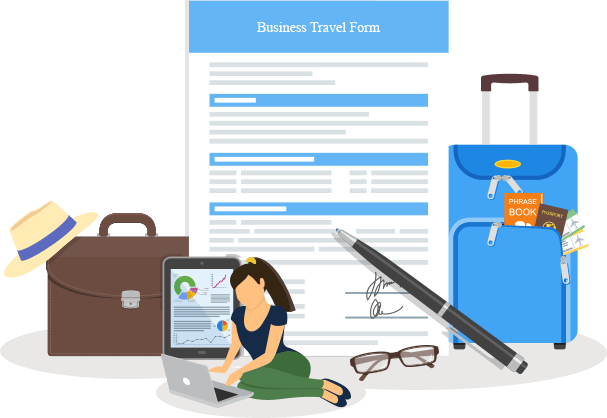 Enable your employees to submit and approve all travel and boarding requests along with an estimated cost from a single window. When approved, these requests get pulled in the expense management software. Easily download tickets and receipts of complete travel itineraries with HR-One HRMS. You can also share booking details with your peers or superiors anytime and anywhere. Give your employees the wonderful experience with travel management software. Save your time and efforts in every step of the way with a detailed travel itinerary plan and manage all your travel related requests with HR-One software. Keep track of all your travel related requests with less worry and record every detail like departure, arrival dates, the purpose of travel, and accommodations in a single software. Whether you are booking flights, managing passport info, or accounting for travel expenses, travel management system has everything you need to have by your side. Try our HR-One software to save big on your travel budget and empower your modern business traveller.